Fight for Survival. Protect your own. These are the central themes of the novel The 5th Wave which its movie version adapted for its slogan. And part of that slogan is ever visible from the recently released poster of said movie... But what are we really fighting against? The adaptation of Rick Yancey's novel is helmed by J Blakeson and written for screen by Susannah Grant, Akiva Goldsman and Jeff Pinkner. It stars Chloë Grace Moretz as Cassie Sullivan, Nick Robinson as Ben Parish/Zombie, Alex Roe as Evan Walker, Maika Monroe as Ringer, Liev Schreiber as Colonel Vosch, Zackary Arthur as Sammy Sullivan, Tony Revolori as Dumbo, Ron Livingston as Oliver Sullivan, Maggie Siff as Lisa Sullivan, and Talitha Bateman as Teacup. 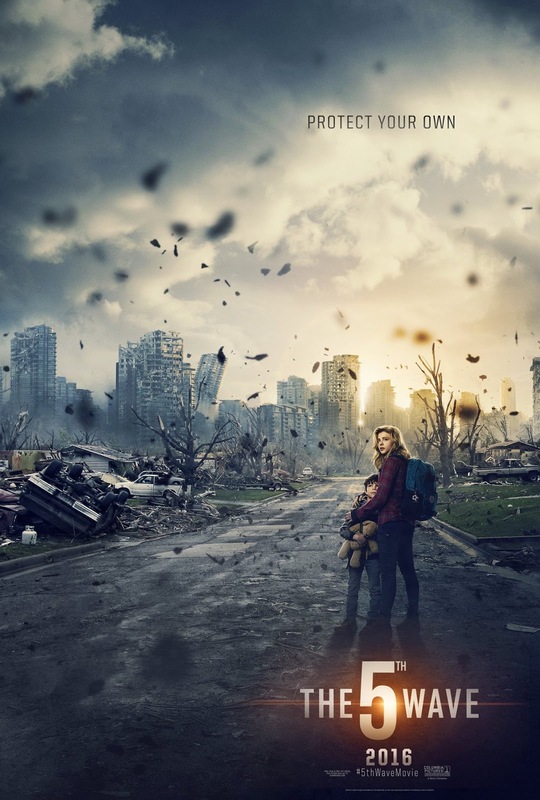 Checkout this post-apocalyptic poster of The 5th Wave. The 5th Wave will hit cinemas on January 15, 2016.